It’s the smell of the pine forest that I notice as I steel myself to step off the narrow wooden platform 200 feet off the ground, with nothing but a wire cable and a pair of carabiners between me and the rocky floor of the Okanagan Valley in British Columbia, Canada. I’m about to try zip lining, a popular activity for the thrill-seeking demographic that marks a growing trend of travelers on the hunt for active, exciting and unique adventures. Whether on your own, with friends or as a family, Canada is the ideal destination for active travel, with thrills to be found – literally – from sea to shining sea. Adventure awaits in the beautiful Okanagan! My Okanagan zip lining adventure was a summer thrill, but winters in the Great White North are legendary too. 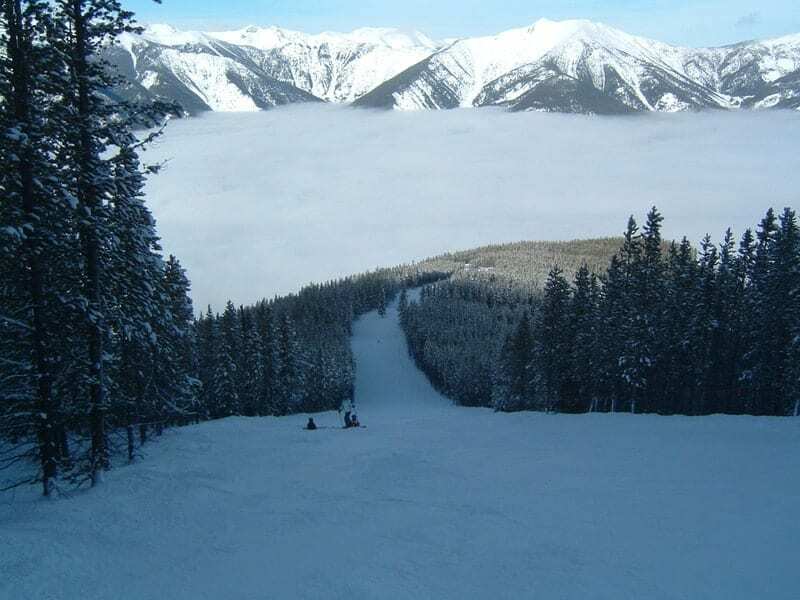 Western Canada is home to three major mountain ranges: the Coastal Mountains (Whistler/Blackcomb), the Columbia Mountains (Big White or Panorama) and the Rocky Mountains (Lake Louise and Sunshine Village). Each offers its own version of authentic mountain village experience with both on- and off-hill accommodations and an array of terrain from wide-open groomers to extreme couloirs. And if a big ski resort is a little too mainstream for you, Canada’s mountain ranges offer a variety of backcountry experiences from snowshoeing to Nordic skiing to heli-skiing, suited to any level of adventure-seeker. Panorama, BC skiing above the clouds. Winter isn’t the only time to visit Canada’s ski resorts; summer on the mountain is just as exciting. And it’s not just mountain biking (although the trails for that are truly epic), most ski resorts also offer a range of summer thrills like zip lines or high ropes courses; at Ontario’s Blue Mountain you can do this and more including an off-road Segway adventure! Our country is renowned as a world-class winter wonderland, but we natives know that the Canadian summer – albeit short – is all about outdoor adventure as well. Epic hiking trails criss-cross the land from east to west, from Newfoundland’s cliff-hanging (literally!) trails to Ontario’s Bruce Trail to the legendary Pacific Crest Trail. Hiking and climbing are great ways for families to spend time challenging themselves together, whether it’s an afternoon jaunt or a week-long backpacking trip. 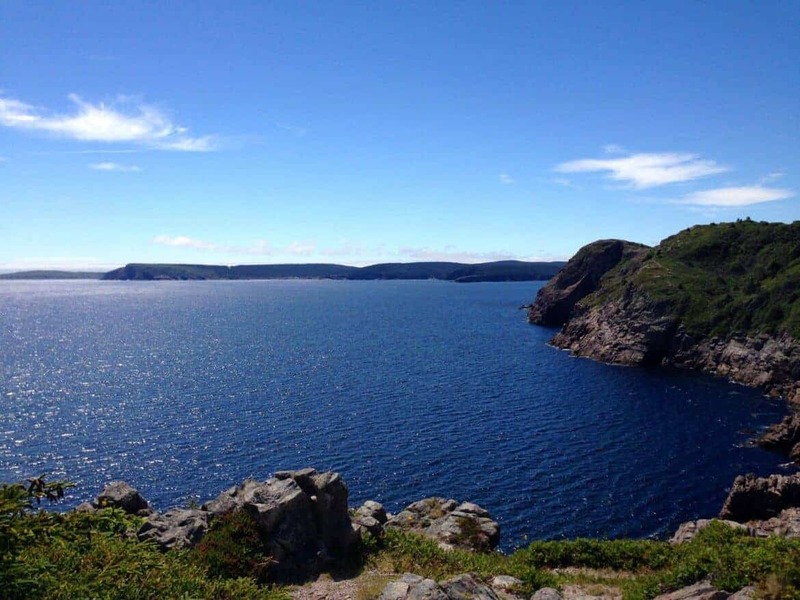 Stunning views hiking in Newfoundland. And while summer on the land offers limitless adventure, let’s not forget one of Canada’s most important natural resources: fresh water. Whether we call them cottages or cabins, and no matter the size of lake or river, Canadians love to spend time on the water. We love to swim in it, paddle on it, catch the wind on it and be dragged behind a powerboat on it. So whether you’re looking to go wake-boarding or white-water kayaking, you’ll have no trouble finding what you’re looking for. 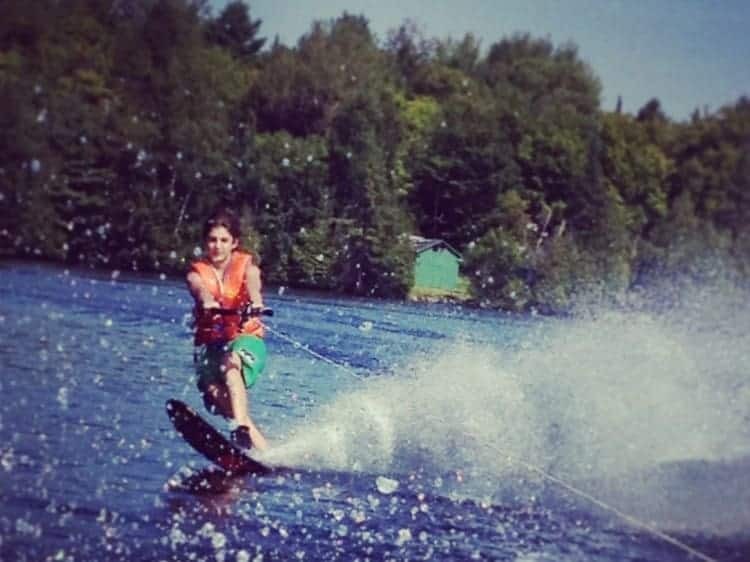 Family fun waterskiing in Ontario! So whatever adventure tickles your fancy, you won’t have to travel beyond the borders of my home and native land to find it. O, Canada! Jen is a corporate marketer gone rogue as an entrepreneur and travel writer in the world of social media. Jen's passion for exploring and love of new adventure have led her to travels around the world. Her favorite trips are with her husband and two teens discovering and experiencing new places together. What an amazing adventure. I have heard that Canada has some really interesting places and sites! Do you know I could of bought a $45 roundtrip ticket to Vancouver from Delta…but missed it by 30 mins of waiting! I am still fuming over that because it was a rare airline glitch…but I know one day I would love to visit Canada! I haven’t spent a lot of time in Canada, beyond Vancouver (I went to school 30 minutes from the border). We used to love going up there!